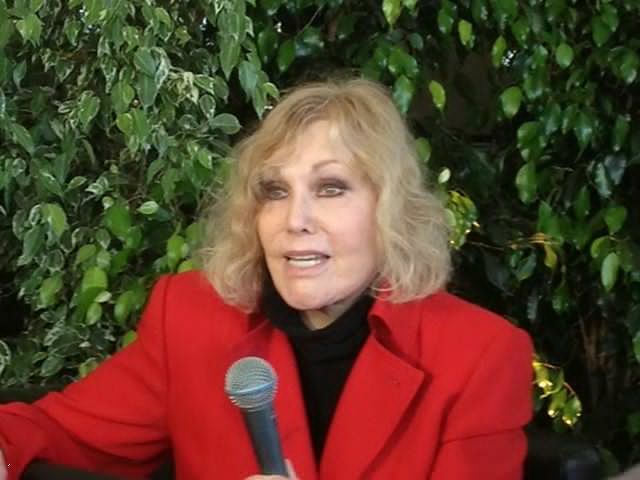 Kim Novak, who presented an award at the Oscars this year, was interviewed by Save Hitchcock at the 66th Cannes Film Festival on 24th May 2013 in Cannes, and slams “The Girl” ahead of this month’s Emmys. “(Hitchcock was) A total professional, he new exactly what he wanted, and how he wanted to get it. Alma was just there, and one time we had dinner at his house and she was very supportive. The way he’s been portrayed recently, I can’t understand why you would do that to people who are no longer here to answer for themselves. When someone is alive is the time to make accusations so that they can defend themselves. I felt deep inside Hitchcock was a good man. He was kind to me during the filming. He never made me do things more than I needed to. We did do (the jump) in San Francisco, jump into the bay once, I don’t swim! And still don’t. We didn’t have to do many takes on that. A lot of people said Hitchcock was vindictive and mean about making you do things, but he wasn’t. I think we did one take for the whole thing. Jimmy Stewart gave me total honesty, total reacting, best acting to me is reacting not acting. And that’s what I love and felt I did the best, reacting, I don’t like acting, I love reacting. Edith Head, she giggled (when I came back from my meeting with Hitchcock) well how did the meeting go my dear? She smiled that wicked smile of hers, she knew exactly how the meeting would turn out. What really happened when Hitch met “The Girl” for the first time?